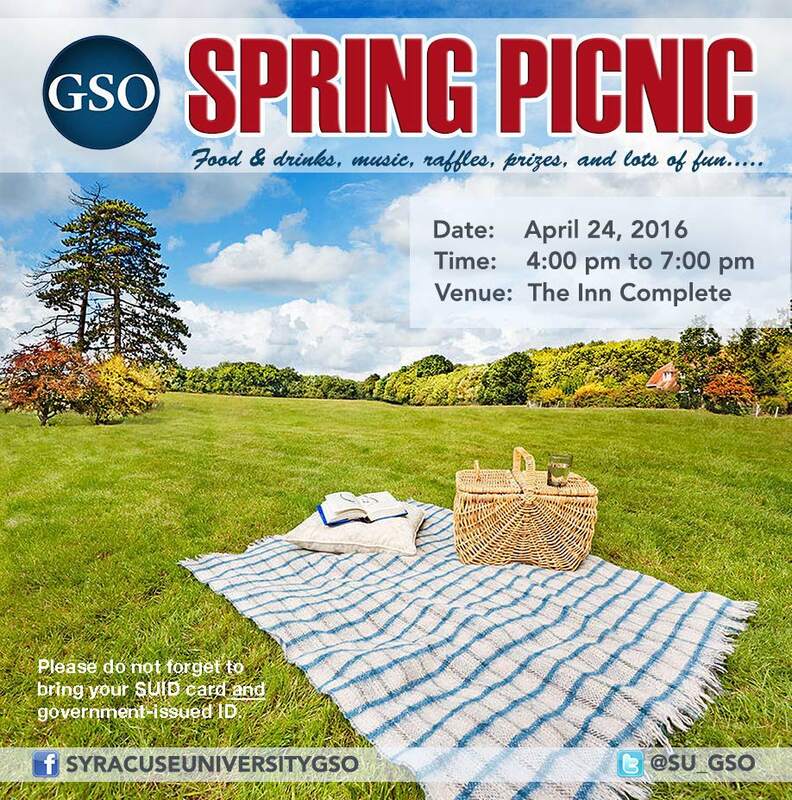 It’s that time of the year again — the GSO Spring Picnic! What: Food, drinks, games, prizes, music, and lots of fun with colleagues, friends, and families! IMPORTANT: Please do not forget to bring your SUID and government-issued ID for age verification, if you’d like to drink. Contact us at gsoexternalvp@syr.edu for questions.